OPTFOCUS PRO/10Gbps Dual Port Fiber Optical Ethernet Network Card (OPTFOCUS 10G2BF-SPF+) In a single 10G PCI Express * slots apply two 10 Gigabit Fiber server connections. 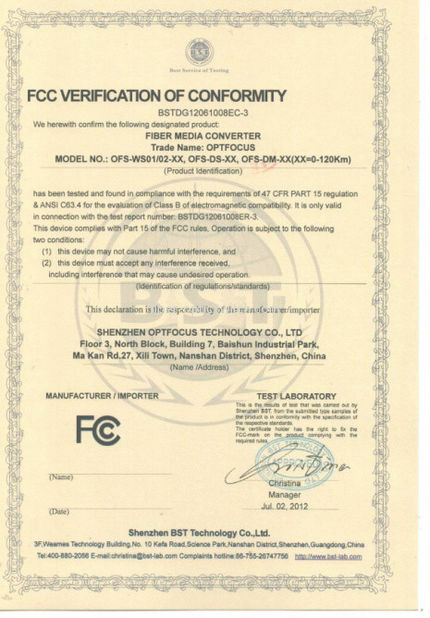 OPTFOCUS 10G2BF-SPF+ provide dedicated input / output (I / O) bandwidth, no sharing of the bus can be used for optical network in the 10 Gigabit Ethernet network connectivity. The design of OPTFOCUS 10G2BF-SPF+ card demonstrate excellent performance in a Multi-processor system. All Intel PRO Network Connections can support OPTFOCUS PRO Intelligent installation, as well as the newly designed Intel PROSet utility which designed by Microsoft * Device Manager. So installation and management process come to be simplify. Intel PROSet simplify adapter installation process. With this program, you can configurate and manager all Intel PRO Network Connection, in order to meet your connectivity needs through a simple step by step click operation. 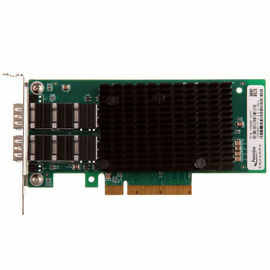 OPTFOCUS Ethernet network cards and optical modules, a 3 months replacement and a 3 years global warranty.